Kinuta Park (砧公園) is located at Setagaya Tokyo. 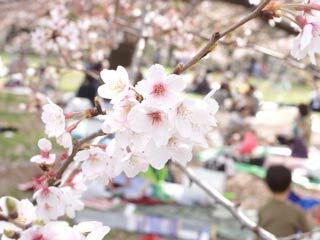 It is very popular Hanami spot in Tokyo because it is a large park with over 930 Sakura, cherry blossoms. There are many kids facilities and during the Hanami season, there are many food stands. There is Setagaya museum in the park.